Raccoon City, Rural Georgia, Pittsburgh, and Colorado are all settings in games and cinema, which have been used to tell a story of survival in the middle of a mysterious zombie outbreak, and now you can add Arizona into that mix. 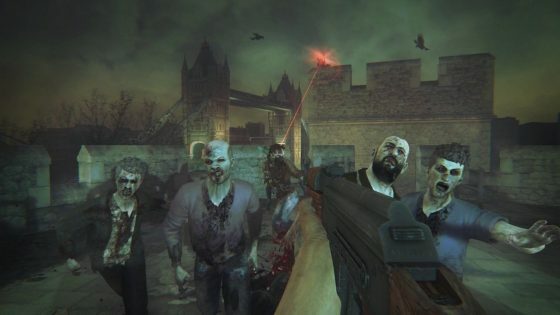 With the rise and progression of VR technology (and motion controls), it was only a matter of time that the zombie genre would find its way on that respective platform. With Arizona Sunshine being one notable example of zombie (or horror besides zombies) VR shooters, not only do you feel as if you have zombies coming in at you as you have to defend yourself, you can also explore the sunny desert and open highways of the Grand Canyon State, or its deep and dark caves. In addition to your standard firearms, players have the options to use grenades, rifles, and they can open car doors as cover. In addition to sight, sound is also necessary as you hear the hissing of the zombies because you never know where they can be coming from. With the way VR is presented, it is only natural that there are many games of this nature in the format. 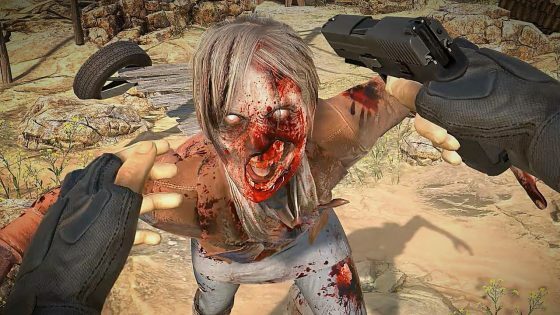 So in addition to Arizona Sunshine, what are some other first-person horror games that gamers can try? Read our list to find out! Kicking off this list is Mortal Blitz, a sci-fi horror shooter where you have to take out monsters in the far future. 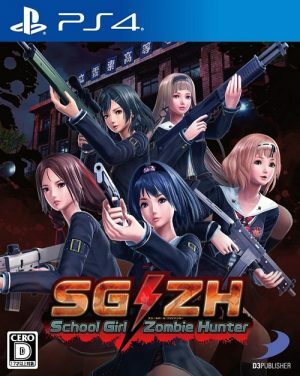 While it has a much different setting in comparison to Arizona Sunshine, the gameplay shares numerous similarities beyond just shooting monsters and bland voice acting. Both games emphasize taking cover for defense, which gives a sense of tactics. While Mortal Blitz is available for your home consoles, some select arcades in the West and Akihabara have versions where you can walk in a space as if you are in the game itself. 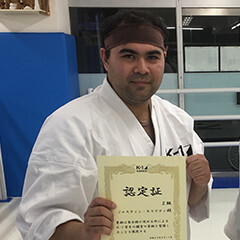 If you want the best experience, try the arcade if available in your area. 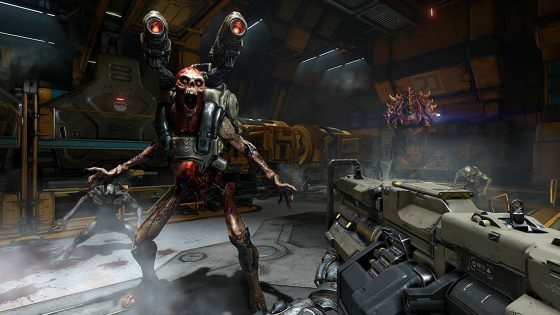 Even after more than 25 years, Doom, the original horror shooter, continues to be in publication for the next stage of its evolution, VR. As opposed to skin and bone zombies in a desert, Doom always takes you to Hell to face its most terrifying demons, but not without an arsenal of heavy-duty firepower at your disposal (looking at you BFG). Just like in Arizona Sunshine, in addition to being playable with the motion controllers, you can use the Aim Controller to simulate firing a rifle. For those who are longtime fans of Doom, this is a great game to add to your collection for those who have wanted to play it in VR since its inception. Originally a standard first-person game prior to the debut of VR, Zombi finally has a VR upgrade for the Oculus Rift. Taking place in the mean streets of London, players can combat zombies with an arsenal of firearms, explosives, and a cricket bat! The game effectively utilizes sound so if in the event a player fires a gun, it could attract a horde of zombies to them. The game primarily takes place in the dark as opposed to sunlight so be aware of your surroundings! Because of these conditions, avoiding detection is strongly recommended in certain situations. If in the instance one of your characters die, you will not restart with the same character, but play as another. Since this game moves like your standard first-person-shooter, please be careful when wearing a VR to avoid motion sickness. Any Game Like Arizona Sunshine? 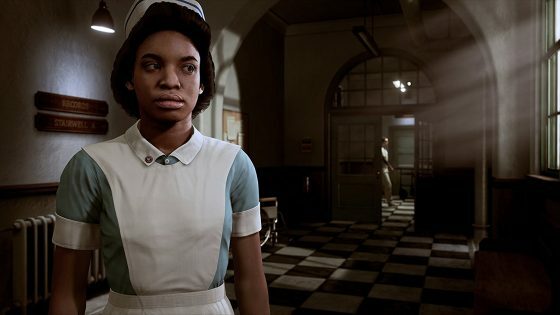 The Inpatient, which happens to take place a little more than half a century before Until Dawn, is a VR horror game where you play as an amnesiac patient in the mental asylum during its heydays. If you want a game that takes place in the confines of a poorly lighted insane asylum as opposed to the sunny deserts of Arizona, The Inpatient can offer that along with the horrors that come with it. If you are familiar with season 2 of American Horror Story, make that into a game and that’s what The Inpatient loosely is but with its own twists and turns. In addition to The Inpatient, we have another Until Dawn spin-off, Rush of Blood, which serves as a simple shooting game, but with a presentation that makes you feel like you’re in one of the Insane Clown Posse’s wackiest music videos. While Arizona Sunshine takes place in the daytime and the player can freely move the character, Rush of Blood has a darker setting and feels like an old-school rails shooter as the player rides a roller coaster as they shoot standard targets as it progresses to killer clowns and other unspeakable horrors you have to see for yourself. The game starts off easy like you’re playing a simple carnival game, but as the ride progresses the horrors also increase. By taking place indoors with little to no lighting at night (with your firearms also serving as your flashlights), enemies can come from any direction or they can already right in front of you making your heart pop from out of fear. You can either freeze or go crazy with your guns out of fear. Like Arizona Sunshine, motion controllers are necessary to play this game as they function as your firearms. 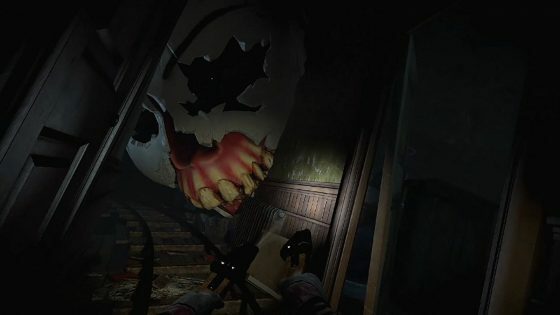 For those that are new to VR and enjoy horror, this is an awesome game to pick up. However, due to the nature of how the game moves, motion sickness is likely to occur so please be careful and take breaks when necessary. After some of the previous installments of Resident Evil were subjected to criticism that it wasn’t scary enough, Capcom took it to heart and re-tooled the series and once again defined the survival horror genre. As opposed to taking place in the open highways of Arizona, Resident Evil 7 goes back to its roots by taking place in a farmhouse of horrors in the deep swamps of Louisiana. 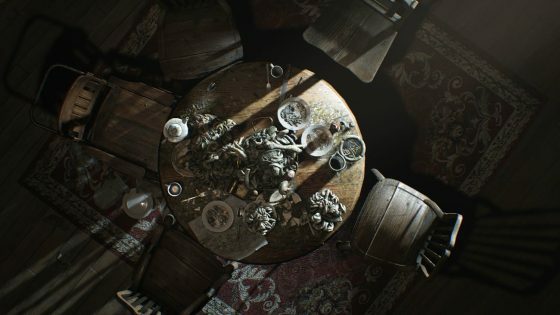 While Arizona Sunshine and some of our listings emphasize more on its action, Resident Evil 7 emphasizes on stealth tactics and finding keys and/or other items to make your escape. While Arizona Sunshine allows you to hide behind car doors for shielding, RE7’s hiding allows you to be undetected by the Baker family. If you play with the VR helmet on, you can use your head movement to lower the body of the character behind let’s say a simple clothing cabinet. Since many players with VR have noted that long-time play can give you a headache, the good news is that VR isn’t required to enjoy this game but play if you want to experience true horror. Upon uploading of this list, VR is still a young and growing technology. It is slowly coming into our homes whether it would be the Oculus Rift, the HTC Vive, or the PlayStation VR. It is only natural that first-person shooters would be the default choice for the system since they include the use of motion controllers that players can use as firearms and for movement, and the PlayStation has the aim controller to function as any kind of rifle. While standard military shooters such as Call of Duty are fun and popular for its fans and also work great in VR, horror shooters offer a different kind of flavor of fear with its erratic unpredictability. Just like in a horror film, you can look in one direction and see nothing but as you turn around, there could be a zombie or some other kind of monstrous creature right in front of you. The fact that VR can make you feel like you’re in that world and react out of some kind of legitimate fear is what helps make it fresh. 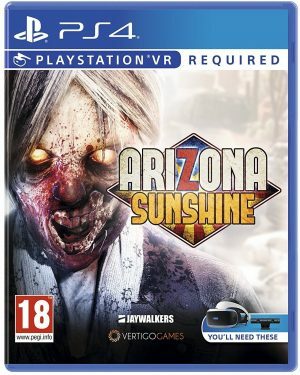 So in addition to Arizona Sunshine and what we listed, what are some other VR horror games do you feel gamers should try out? If you got any ideas, shoot in the comments.